New updates in 2019! 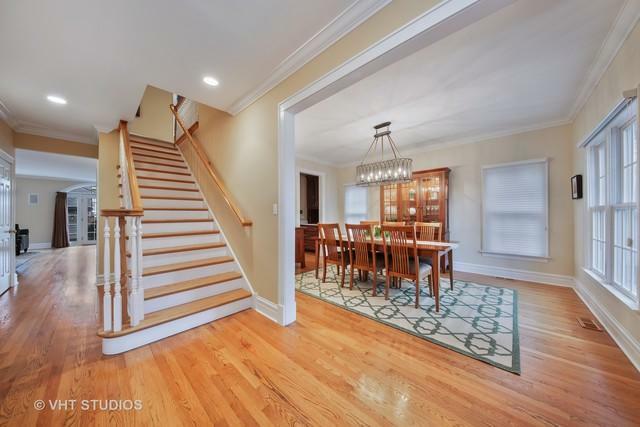 Stately 5 BR, 3.1 bath all brick home w/expansive 3rd level in Forest Hills. 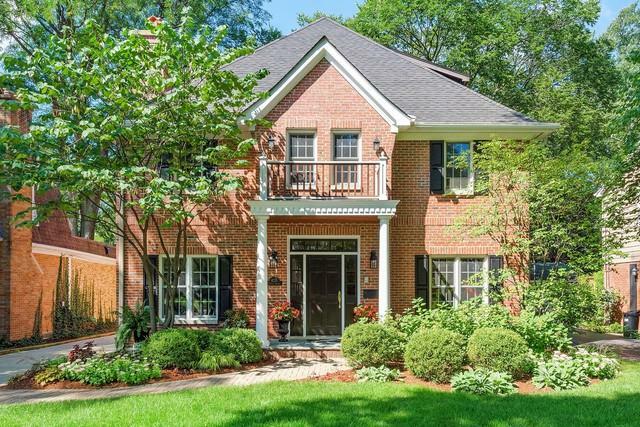 Lovely center entrance colonial w/grand foyer. 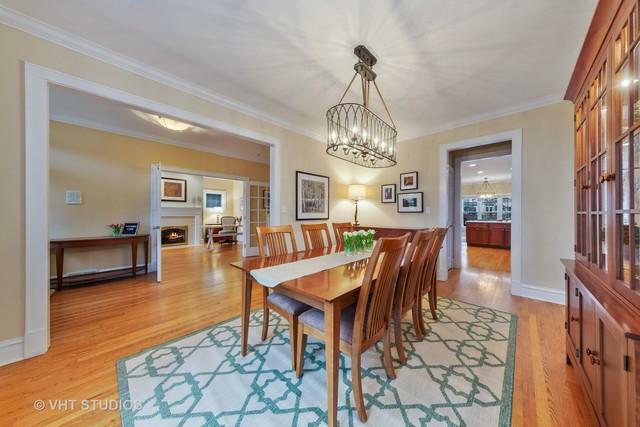 9' ceilings, white molding & hardwood throughout 1st floor. Impressive updated kitchen w/Quartz counter-tops, subway tile back-splash, single deep sink & Grohe faucet (2019) w/stainless appliances. Walk-in & butlers pantry. Spacious family room with gas fireplace, custom bookcases & home theatre. French doors lead into office with gas fireplace. Mud & powder rooms off side entrance. Secluded master bedroom w/walk in California Closet system & en suite bathroom featuring double sinks, whirlpool tub & separate shower. Convenient 2nd floor laundry rm. All bedrooms w/custom closets. Finished 3rd floor featuring 5th bed/office, full bath & entertainment room. Zoned HVAC w/smart thermostats. Updated light fixtures, all new carpet & freshly painted. Professionally landscaped yard & brick paver patio. 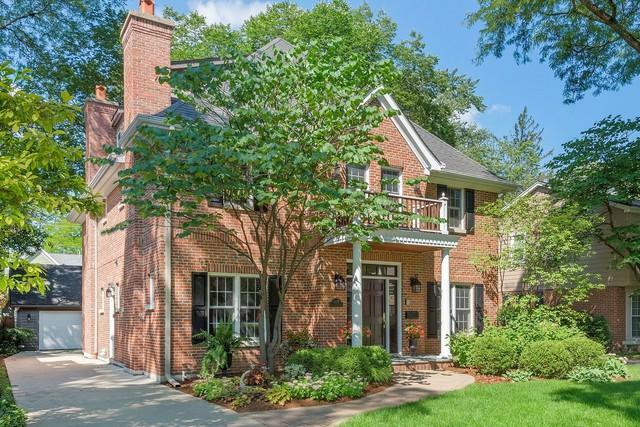 Walking distance to Metra, town, schools & parks.